Transnistria: Just a conflict on paper? 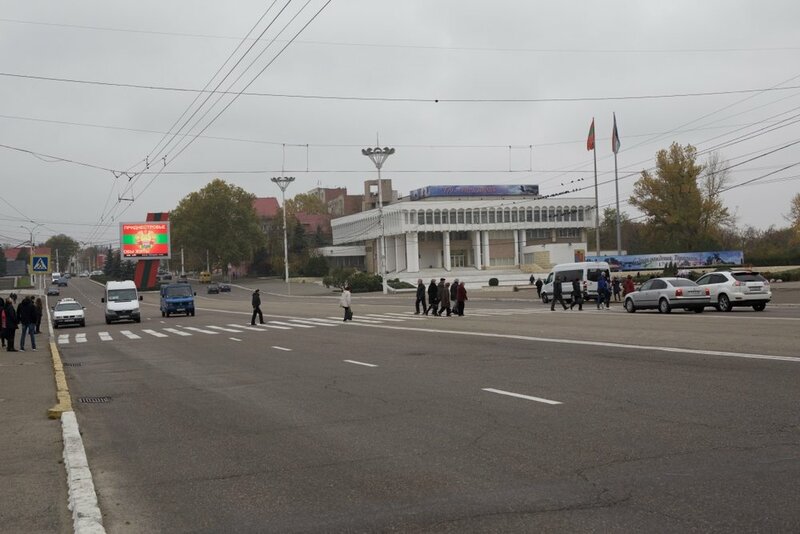 Walking down the streets of Tiraspol, the capital of the self-proclaimed “Pridnestrovian Moldavian Republic” (known commonly as Transnistria), no sense of strife, danger or even distress can be perceived. Streets are clean, supermarkets are full of products (yet largely empty of people) and the hammer and sickle flag waves proudly atop many buildings. If you stop a random passerby and ask them about the ongoing frozen conflict with Moldova, they would smirk at you and proclaim that no such conflict exists. “It’s just government propaganda” they would probably say “the common people don’t care anymore”. A similar view is echoed by the citizens of Moldova, who regard Transnistria as a lost cause and would rather see their government tackle more important and pressing issues. This is a scenario hard to imagine, considering that only 25 years ago a serious war was fought between the two sides, with thousands of victims. However, the opinions and the rhetoric radically shift once you ask the same questions to the politicians on both sides of the Dniestr river. Moldovan authorities continually stress how the existence of the Transnistrian state and the presence of Russian troops there represent both a breach of international law and a serious threat to their sovereignty, and they insist on the human rights violations supposedly committed by the Transnistrian regime. On the other side, the authorities use referendum results to justify their demands of independence and international recognition, and accuse the Moldovans of trade embargos, espionage and subtle warfare. 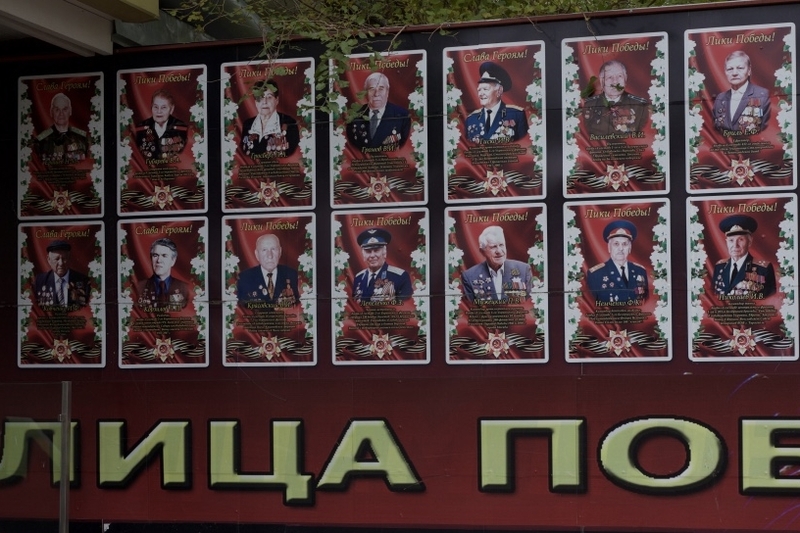 An 'honour billboard' with the words 'The Face of Victory' in the heart of Tiraspol. A recruitment booth for the continuation of the present peacekeeping operations and the Russian Army's continued presence in the region. Why, then, all of these audacious claims and aggressive threats elicit close to no answer from the public of both states? Why do politicians, diplomats, and economists care so much about a conflict that in reality seems to have been over since 1992? Geopolitics is the answer. The situation in Moldova and Transnistria is a mere derivate of the worldwide arm-wrestling between Russia and the United States, closely accompanied by the European Union. This is reflected not only by the active presence of Russian troops in Moldovan sovereign territory, or in the massive amount of aid and funds sent by the US and the EU in Moldova, but also in the day-to-day political life of the nation. Moldovan parties do not align themselves with right or left wing ideologies, nor do they run campaigns based on actual policies; they merely choose whether to be pro-European or pro-Russian. This prolonged façade of conflict and the impossibility of resolving the issue have tired the citizens of Moldova, who became disillusioned and apathetic towards their government and absolutely uncaring about the Transnistrian state. It is easy and sad to predict that progress on this issue will be close to null in the following years (if not decades), and that most probably it will slowly but relentlessly disappear from people’s memories. Ferdinando Cinotto is a first year undergraduate student studying Development Economics at SOAS, University of London. Ferdinando was one of 18 delegates on Delegations for Dialogue's "Development Under a Frozen Conflict" programme in November 2017.